Karan Johar is a talented director, tough I end up only ”LIKING” his films. Exciteness of me for this film, was somewhere In the middle. This film has an cast of A grade actors, I am not a big fan of love-stories of bollywood, but yeah, some them turn out to be decent. With this film I stand somewhere in between, it’s not GREAT, nor it is awful. 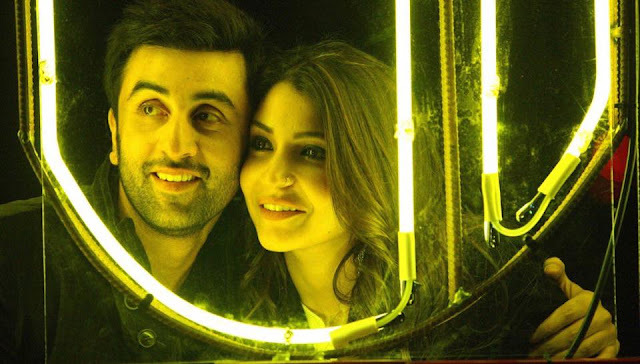 The plot of the film revolves around, A story about unrequited love. The journey of three characters Ayan, Alizeh & Saba. It is sort of a love triangle film. 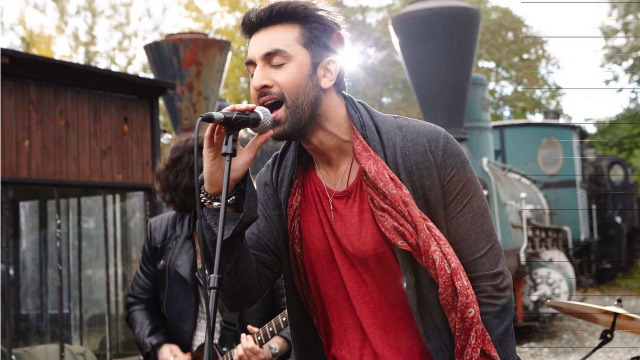 This film is quite similar to ROCKSTAR (2011) in many ways, also to some other previous KARAN JOHAR films. A major issue I found with the movie is it’s pace, which was quite slow at times. What is different in the film? Not really much nothing, a typical bollywood movie in certain ways. But, even tough it didn’t had a lot of new elements, we got to see a new KARAN JOHAR film, which is a good one, unlike the unrealstic movie of his STUDENT OF THE YEAR, which was great but had to many flaws. This is far from being his worst film, but not even close to his best. It has some of the best looking shots of bollywood in 2016. Gorgeous cinematography. SONGS as most of you are already brilliant. Screenplay of the film was decent too, there are some quotable dialogues in it. 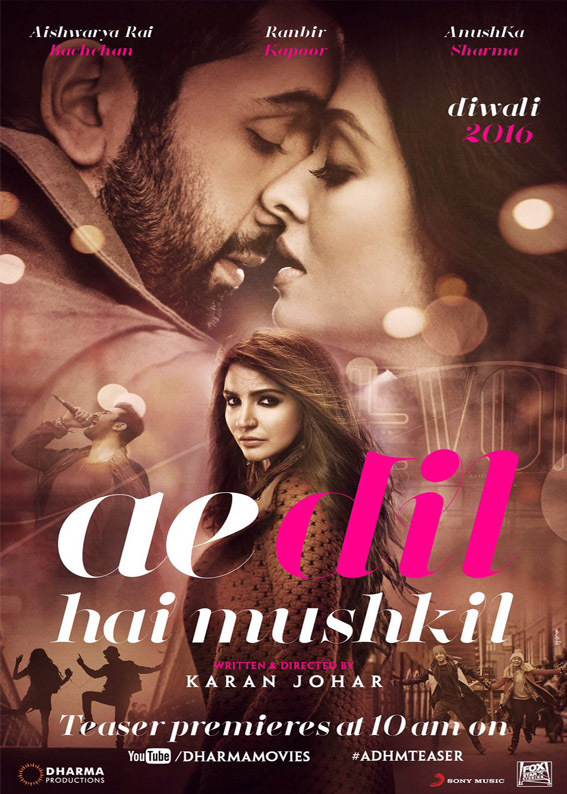 KARAN JOHAR’s direction is not up to the mark on this one, he creates feeling for his character pretty well, but in this one, he failed to create a feeling to such an extent, that you feel the emotions. And, again the pacing. Performances: This had some of the best working actors/actresses working today. All of them gave brilliant performances, there is no doubt the acting, they all were fabulous. 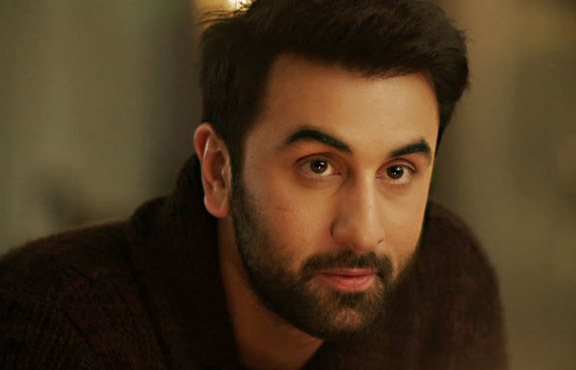 RANBIR KAPOOR, who was on bad days, as his films didn’t worked well, but I still think TAMASHA was brilliant and to some extent BOMBAY VELVET (It’s ANURAG KASHYAP man :P). Ranbir Kapoor gives his best performance since BARFI (2012), the movie which I didn’t like and found it to be overrated, but cannot deny the fact his acting was brilliant in that as well. The both actresses of the film (ANUSHKA SHARMA & ASHWARIYA RAI BACHAN) were good, but overacted at times. SHAH RUKH KHAN, had an cameo, I didn’t think that was nessceary at all, but he did what he had, he shined even in the small ammount of time. And, how can I forget the controversial one FAWAD KHAN, I’m with INDIA, but he did justice to his role. Tough no offence, wouldn’t like to see him any other INDIAN film now :P.
Overall, this film had the potential to be one of 2016’s VERY BEST, with such a marvelous cast and such great talent, but all gone waste, because of some elements of the film, tough it is certainly better movie in terms of quality then SHIVAAY, the movie which I reviewed recently. Tough, completely different movies, but I my pick would be AE DIL HAI MUSKHIL, tough I’m not a big fan of romantic films, neither an action film without any sense :P. I had not a GREAT time, with his film, but overall I can’t call it GREAT, not AWFUL as I said earlier, it is just fine, but great to see LOVELY PERFORMANCES. Yes, go for it cause it’s DIWALI ;).